Today Indiana Gov. 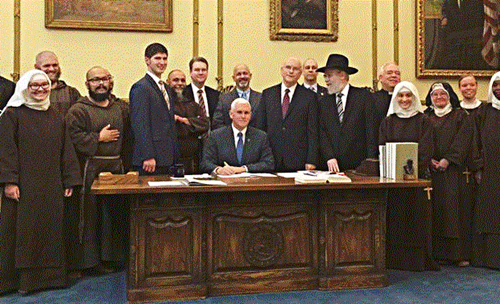 Mike Pence signed into law a measure that allows businesses to turn away gay and lesbian customers in the name of “religious freedom.” The signing made Indiana the first state to enact the Jim Crow-esqe like law. THIS MUST BE STOPPED NOW. INDIANA MUST BE MADE AN EXAMPLE AS TO STOP OTHERS STATES. Back2Stonewall.com fully supports and asks that everyone #BoycottIndiana. We also ask that everyone do your bit to promote this boycott. Contact sports teams, businesses, upcoming conventions, musical acts, anything that produces revenue for the state. Ask them to cancel events and threaten the Governors and his GOP legislation that they will move and take their taxes with them. The only thing the GOP loves more than GOD is money. So let’s hit em where it hurts. And show thatm that hatred and bigotry WILL NOT be tolerated in any form. LGBT March on Washington DC Set for June 11, 2017! – YOU GOTTA FIGHT FOR YOUR RIGHTS!